Riding, Video Games, & BEER! 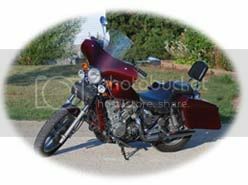 06:14 PM - ruger quoted kanuck69 in post Kawasaki Vulcan 750, is there no substitute?! 08:49 PM - ModernDayRenegade1994 quoted kanuck69 in post Pickup Coil Removal? 08:07 PM - OlHossCanada quoted kanuck69 in post Printing clear signal lenses. Is it possible? 12:13 PM - RoadHopper quoted kanuck69 in post Printing clear signal lenses. Is it possible?